After disaster strikes, the troop leap, tumble, vault, fight, sing and dance their way to finding the truth. 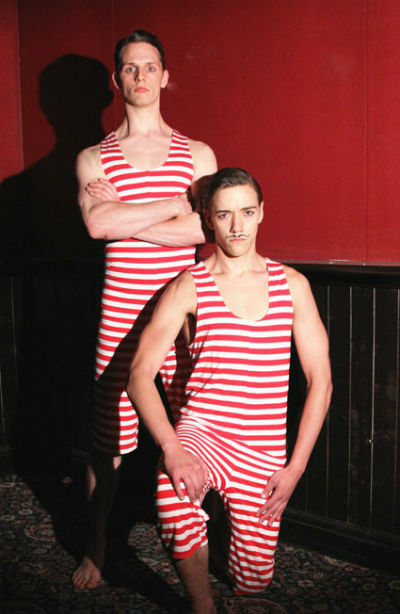 This show tells the story of a traditional circus in the modern world and can incorporate full or minimal dialogue depending on client preference. 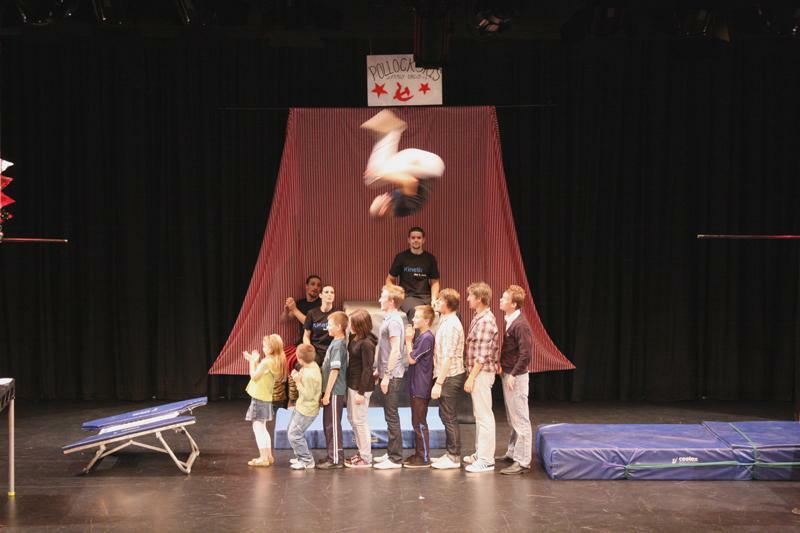 The show features acrobatics, free running, parkour, stage combat and mini-trampoline acrobatics. With enough time the show can be adapted to include elements specific to the client with changes to staging and costumes. All their acts and performances are high-adrenaline, fast-paced and visually spectacular. The show generally avoids incorporating the sword fighting elements into family events unless the client specifically requests it. This is to reduce the risk of offending people with ‘bladed’ weapons. The ‘workshop’ element of the act is down to client preference, but they do like to get people on stage to be jumped over! The smallest act is just the Ringmaster & Clown incorporating slapstick and acrobatics. The act can be tailored from a 60 min 6 person act down to a 15 min 3-4 person act. The event went really well and the guys from Long Live The Ringmaster were great. Really entertaining, astonishing and complete professionals. Please can you thank them all for joining us on Friday and please can you thank Long Live the Ring Master for managing to make all our site and parking logistics work out as well. Thanks for all your help putting together options and booking the guys for the event, it was very much appreciated.